Based on the historic tale of “The Tiger of Mysore,” Tipu Sultan ruled India in the late half of the 18th century with the ferocity and passion of the tiger. His throne and armor were adorned with imagery of the elegant and striped cat. During this time, Colonial British were invading the sultan’s land, which had led to Tipu gathering soldiers from every corner of the kingdom. Cats of the jungle to birds in the sky, each were prepared for battle and decorated in gold and jeweled armor, with stripes laid across the back, similar to a tiger’s. Tipu, refusing cowardly escape, fights alongside his soldiers until death in 1799. 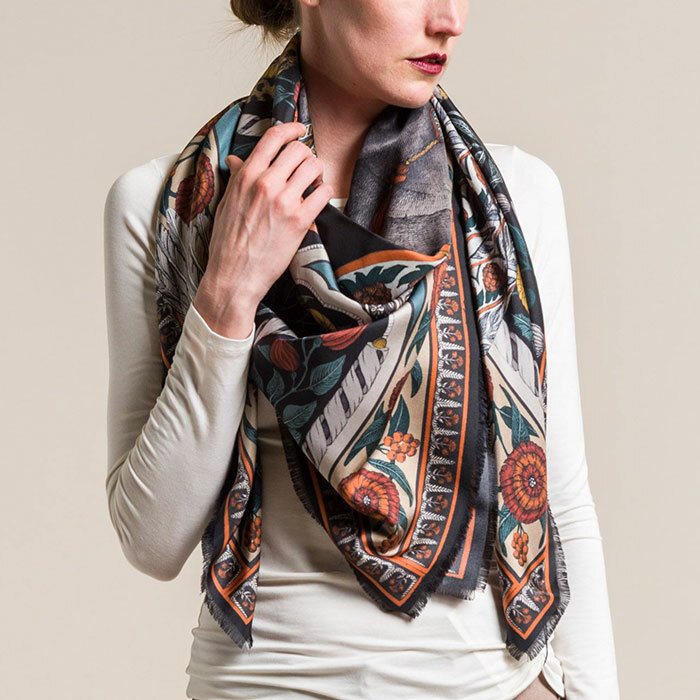 Santa Fe Dry Goods is introducing the Sabina Savage Fall/Winter 2017 collection with the two illustrations “Pheasant Tree” and “Tipu’s Hound.” The new collection also has the introduction of the new 100% cashmere backed scarves, along with the modal/ cashmere, wool/ silk, and 100% silk printed scarves. 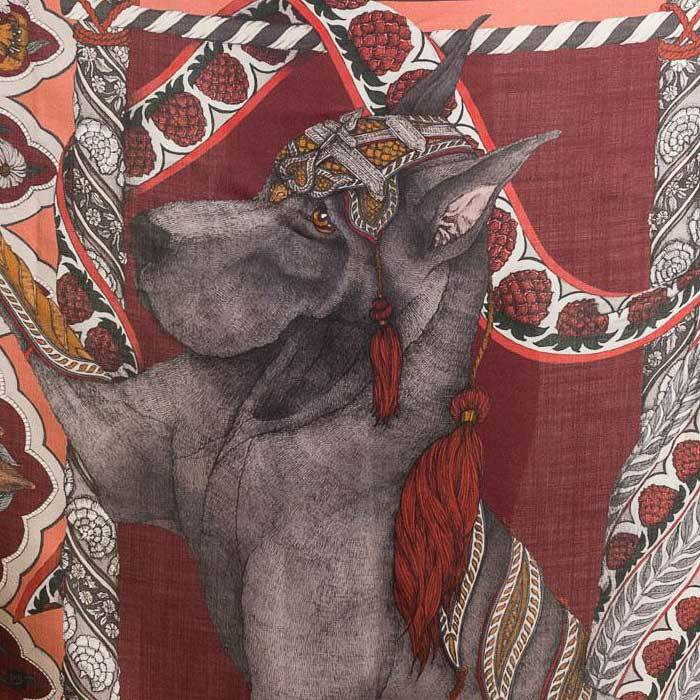 The detailed drawings are printed onto the different fabrics, typically into kaleidoscopic squares. 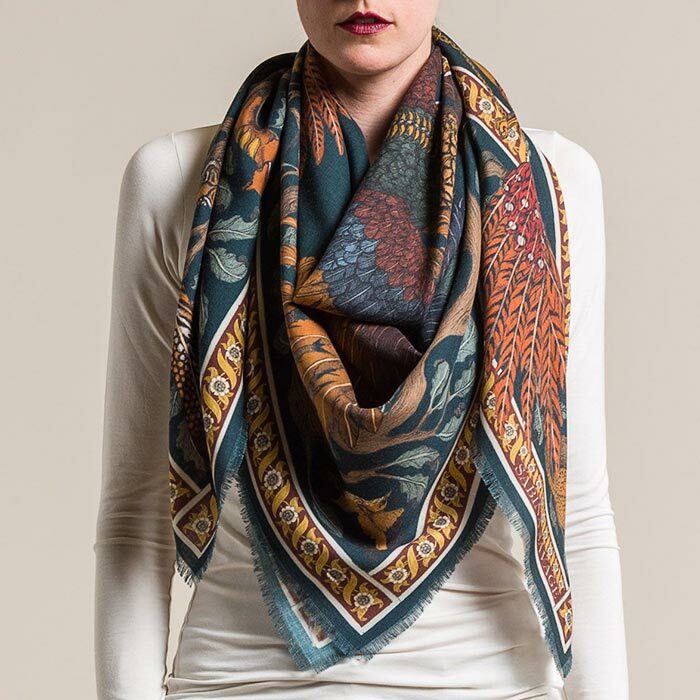 New scarves are recreated into the format of a rectangle and backed with cashmere. While all superior in quality, each fabric brings a different characteristic to the same design. 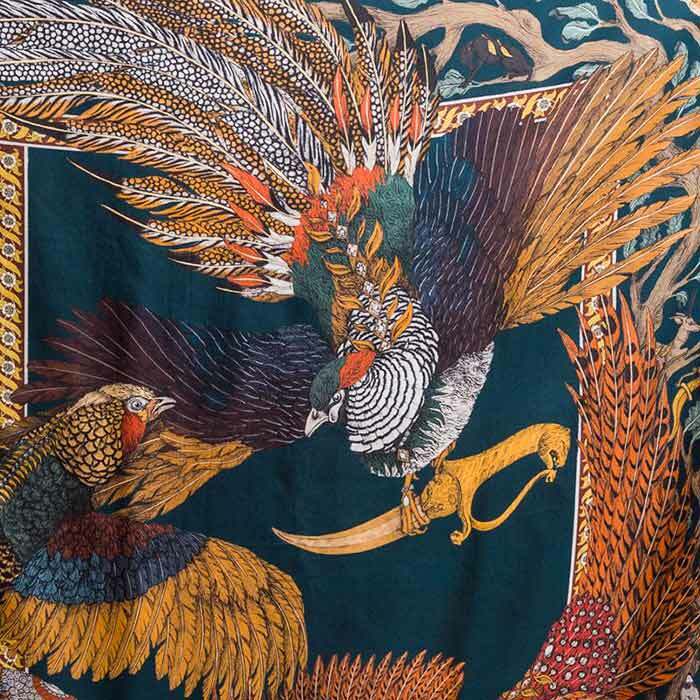 “The Pheasant Tree” depicts three pheasants carrying Tipu’s ornate knives; the design is framed with the Tree of Life filled with fellow animals of the kingdom. This design comes in damson plum and gold yellow or forest teal and saffron yellow. “Tipu’s Hound” shows a great dane being carefully armored by a paradise flycatcher; he is surrounded by smaller animals seeking wisdom from the hound. 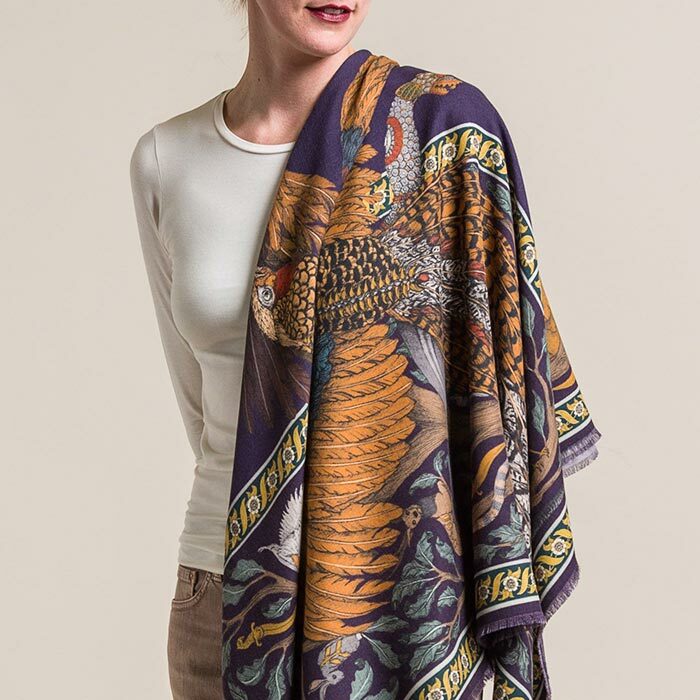 Printed in coal grey and cumin tan or mulberry burgundy and turmeric yellow. All subjects can be seen decorated with the golden tiger striped armor along their back, such as in the story.